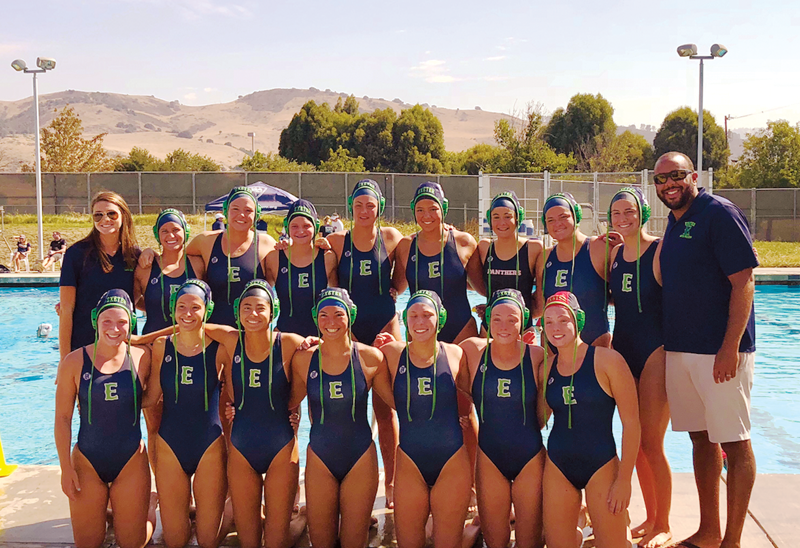 san jose – Tulare County was without a club team to showcase all of the combined girls water polo talent before the Exeter team was formed two years ago. Many of the athletes had to travel elsewhere to compete for spots on teams. The Exeter team has pulled talent from every corner and has succeeded for the second straight season finishing 14th in the 18U Champions Division of the National Junior Olympics this past weekend, July 28-29. The Exeter team moved up a division this year as a result of their fourth place finish in the lower “Classic” division a year ago. Not to mention their continued success in other tournaments including five top three finishes. The upper Champions Division was not kind to Exeter. In the first round of group play they faced the UCLA feeder team Stars and Stripes. The matchup resulted in what would be Exeter’s worst loss of the tournament 12-4. A second 10-9 loss to Tualatin Hills followed that afternoon. The next morning Amaral gathered his team around for a pep talk. He told the team they had put too much pressure on themselves to get a win right away, which had cost them a below average result in the first game and a hang over effect in the second. Amaral tried to lighten the mood with a running joke about the team being nicknamed the Bulldogs, after the coach’s college team name. The more relaxed outlook resulted in Exeter pulling off a huge 12-2 upset over the Michigan State feeder team, Spartans, in the morning game. That afternoon, Exeter split Friday’s games when they lost to American River 12-6. The 1-3 record in group play was good enough to get them into the playoff bracket. In the quarterfinals, Exeter defeated Northern Illinois 8-3 and followed that up with a 7-2 win over Puget Sound Polo in the semifinals. Sunday was when the clock struck midnight on Exeter’s second nationals run when they fell to Utah Premier 7-5. A duo of Porterville Panthers led the way for the Exeter team in the water. Shyanne Rainey was the offensive power. She scored from everywhere in the pool. She hit her targets with pinpoint accuracy from outside the five meter mark, and when she drove a lane her creativity provided some great scoring chances. Rose Chapman was the other Panther. She was the team’s speedster. In sprints to begin a quarter of a game she won 20 of 28 total. While Rainey and Chapman provided much of the stand out play during the game the team had voted on Ashley Howell to be the team captain. Howell was one of three players who returned from last year’s team. She led the team in warm-ups and when to begin getting ready for the game. In the pool Howell was solid on defense. The National Junior Olympics tournament capped off another successful year for the Exeter Club. Out of their five top three finishers they won two tournaments the West Fresno Tournament and the Sacramento Invitational. Their success has not only put them on the map tournament wise, but in attracting local players as well. This year their total number of players was 28.